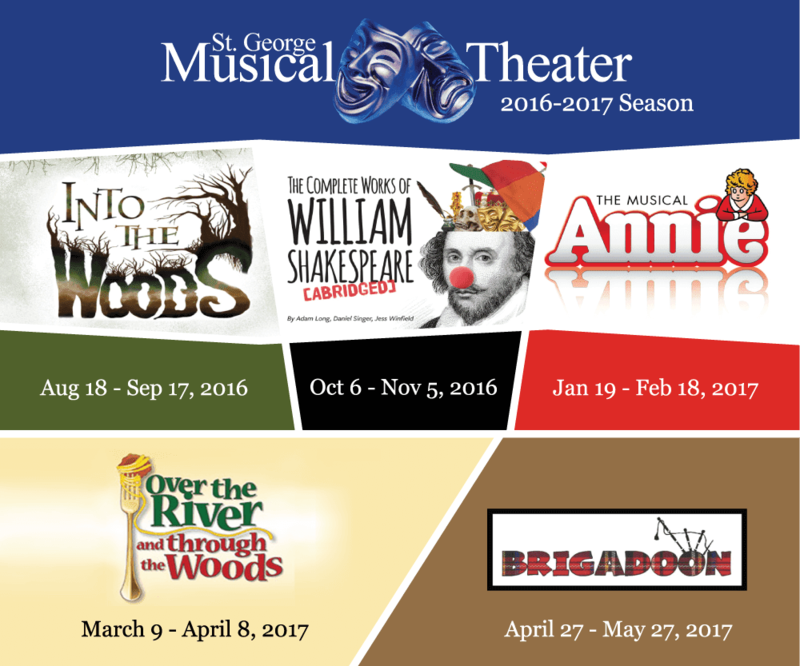 The 2016-2017 Season has already started at St. George Musical Theater! Right now they are showing Into the Woods. Next month is The Complete Works of William Shakespeare. If you want to purchase tickets click here. Saw Into the Woods Saturday. It was really good. Quality acting and singing. The costumes were spectacular!